Aberystwyth University is a public, independent research university in Wales that was named “University of the Year for Teaching Quality” in 2018. It was founded in 1872 as University College Wales, Aberystwyth, and has undergone several name changes before deciding on Aberystwyth University. Aberystwyth is founding member of the former federal University of Wales. Currently about 8000 students are enrolled in degree programmes at Aberystwyth. The university was ranked in the top 10 of Higher Education Institution for overall student satisfaction. The institution prepares students for their future careers and provides them with the necessary skills and tools needed to succeed in the working world. The employment rate is extremely high- in 2017, the Higher Education Statistics Agency (HESA) announced that 95.4% of Aberystwyth University’s first degree students who graduated in 2016, either found work or were in further study six months after graduation. Aberystwyth University has several departments from which students can choose from: the Institute of Biological, Environmental and Rural Science; Department of Computer Science; Department of Physics; Department of Modern Languages; Department of Information Studies; Department of International Politics; School of Law and Criminology; Department of Psychology; Institute of Geography and Earth Sciences; and Aberystwyth Business School. Aberystwyth is the best university I could have ever chosen! It is a place where people are very much integrated and the students are one friendly society. The teaching quality is very high, a student in Aber is not anyone hidden in the corner of the lecture room, everyone is important and gets the attention when needed. The Professors and staff are always there to help out in absolutely anything. The facilities in the Uni are very much convenient, spacious and modern. I can’t imagine a better place to study than Aber! If you're the owner or representative of Aberystwyth University - ABER, you can claim this University and build a better profile. 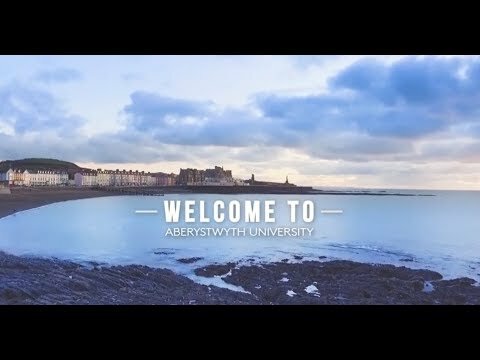 Interested in studying at Aberystwyth University - ABER?